The 21-year-old striker will link up with former boss Gary Locke at Rugby Park. Kilmarnock have secured the signing of striker Dale Carrick on a three year contract. The 21-year-old underwent a medical on Thursday morning before confirming the switch to the Rugby Park men. Carrick left Hearts, the club he has been at since he was a schoolboy, by mutual consent on Wednesday. The forward, who scored eight goals in 53 appearances for the Tynecastle team, made the decision to leave in order to get more regular first team football. Hearts head coach Robbie Neilson said: "Dale just wants to play football and to get more game-time. He’s at an age where he wants to play every week and we can’t guarantee that." 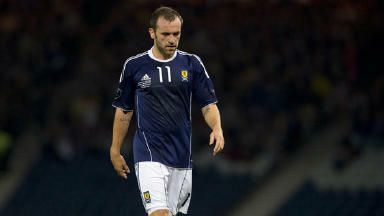 He becomes Gary Locke's sixth summer signing, after Jamie MacDonald, Kris Boyd, Kallum Higginbotham, Stevie Smith and Scott Robinson were snapped up by the ex-Hearts boss. Carrick made his breakthrough in the Hearts team under John McGlynn in 2012 and featured in both legs of the 2-1 aggregate Europa League defeat to Liverpool. He netted his first goal in maroon under Locke's management the following season, scoring in a 3-3 draw away to St Johnstone in January 2014. 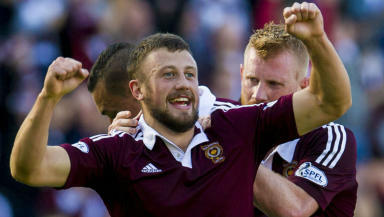 The Edinburgh-born forward finished the 2013/14 season strongly, scoring five times in the final nine games as Hearts were relegated to the Scottish Championship. However he suffered an injury-hit 2014/15 season, scoring twice in just eight appearances, as a recurring hamstring problem curtailed his involvement under Robbie Neilson.